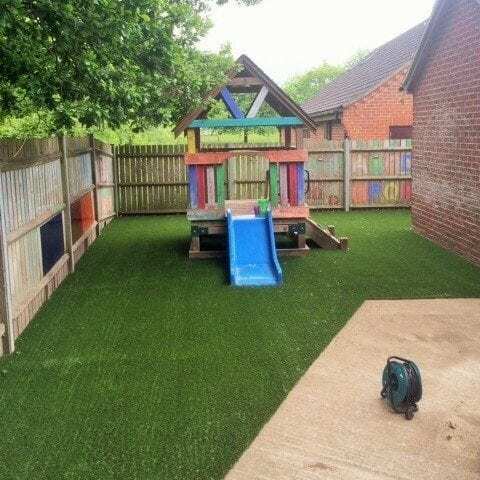 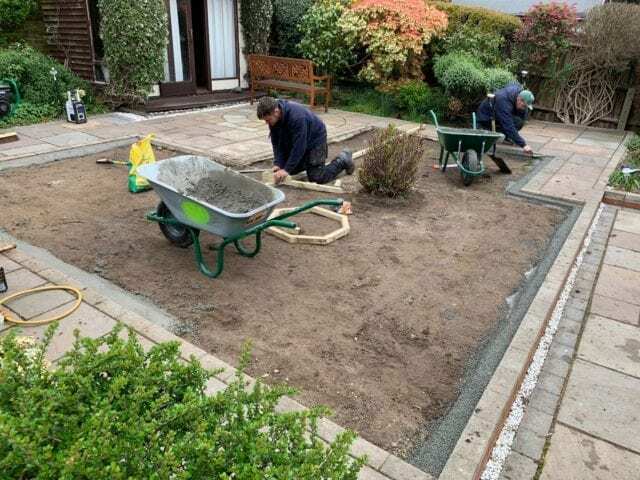 You can see one of our teams hard at work creating the perfect Trulawn Prestige installation here. 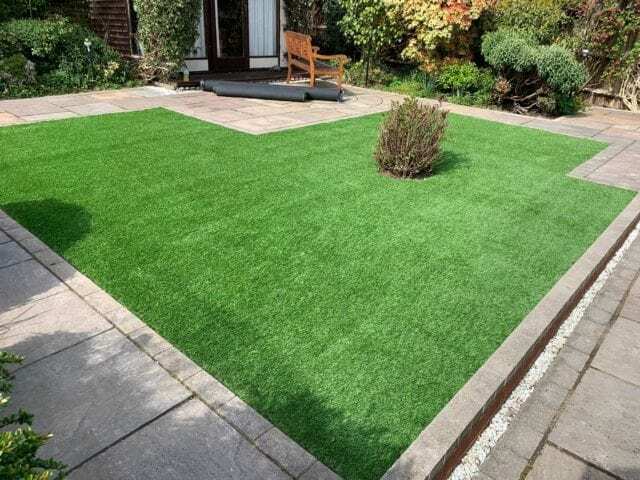 They’ve used cement around the edge to make sure they can achieve the closest finish of the grass to patio. 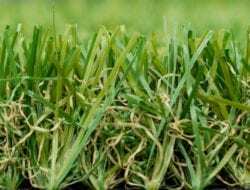 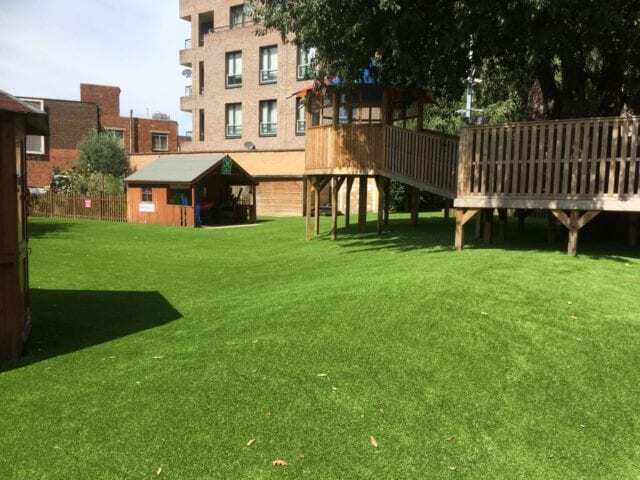 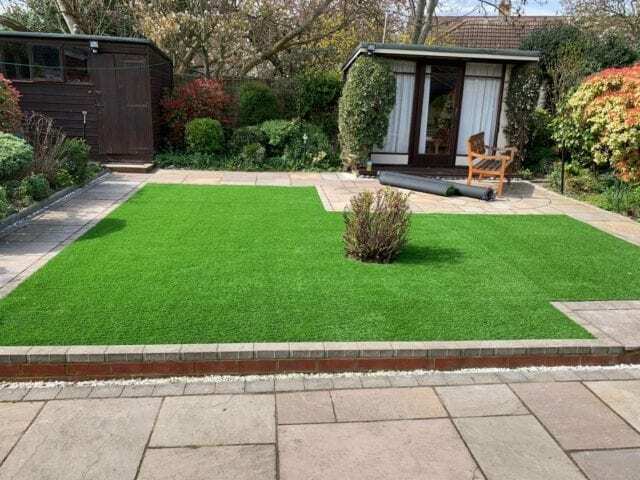 Trulawn Prestige has the longest pile height in our range at 37mm. 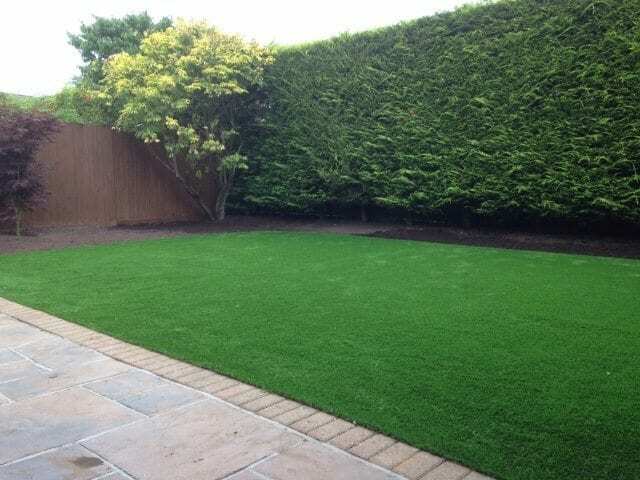 This makes a lovely textural contrast against hard landscaping, as well as give it a healthy grass look.